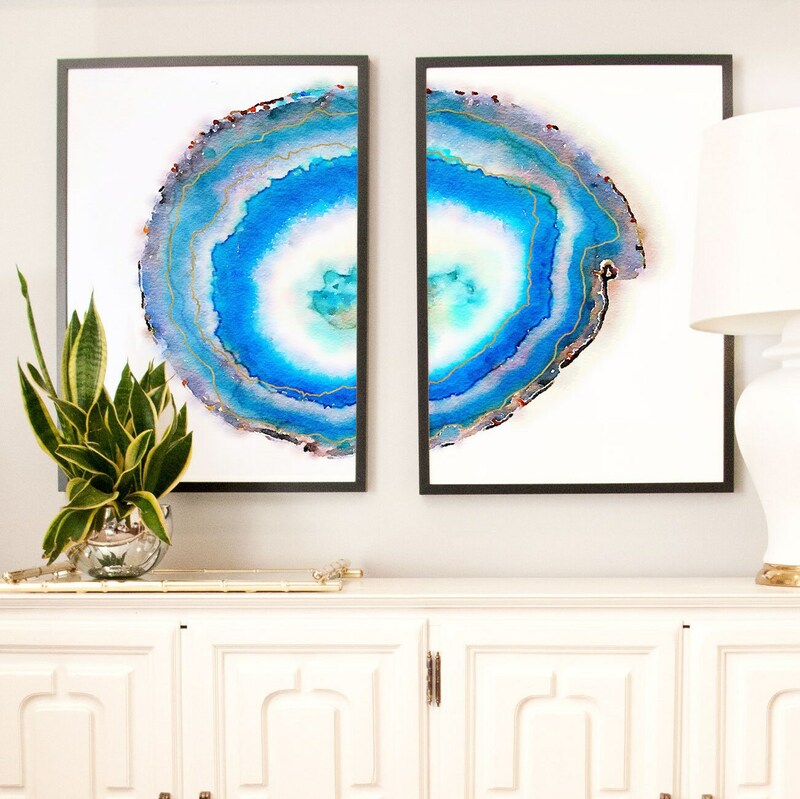 Agate Geode Slice Art Set. 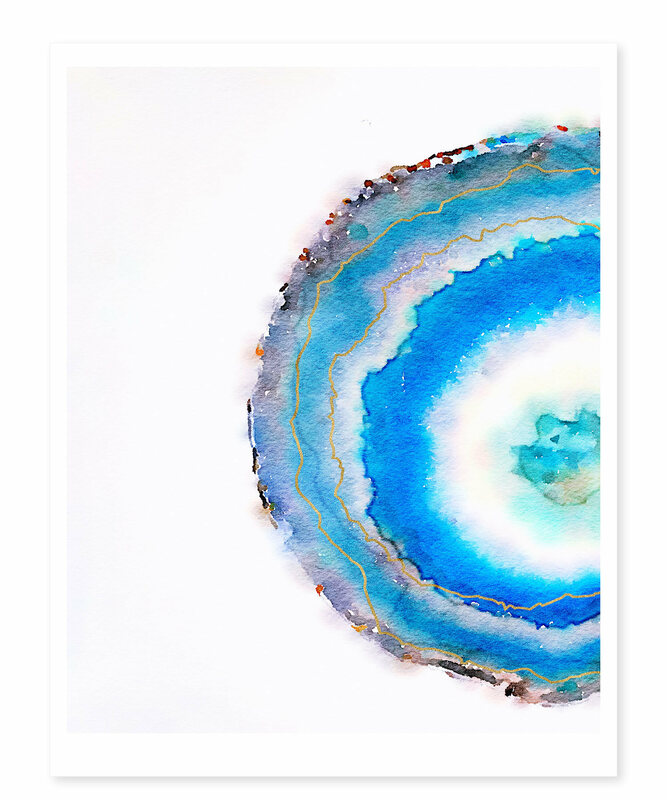 New Media Digital Watercolor Paintings. This print coordinates with many other pieces in our shop. 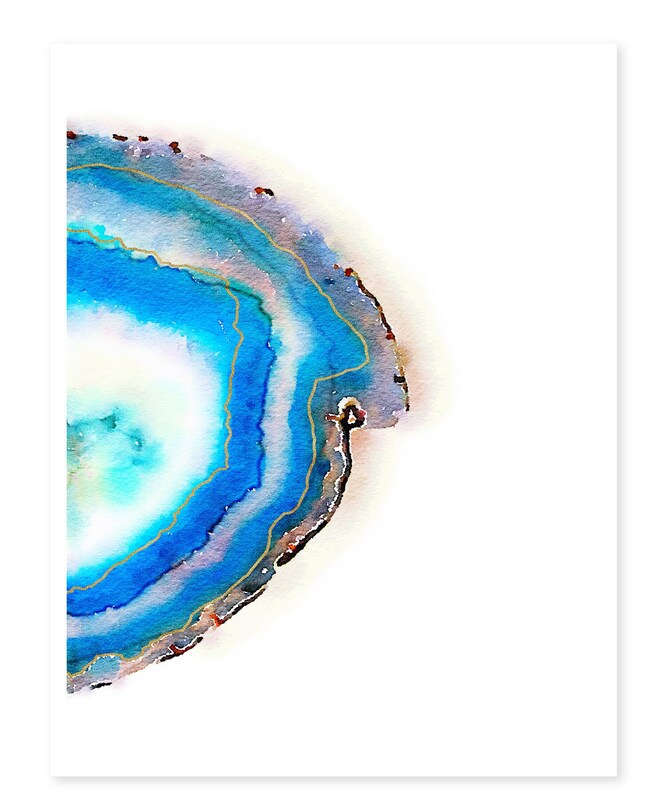 Please browse appleblossomprint.etsy.com for more art and décor.